Helix FBLA Dresses for Success! in the conference program. Conference name badges are part of this dress code and must be worn for all conference functions. For safety reasons, do not wear name badges when touring. FBLA CLARIFICATION–Many women’s two-piece suits are currently designed so that they do not require a blouse. Therefore, this will be accepted. 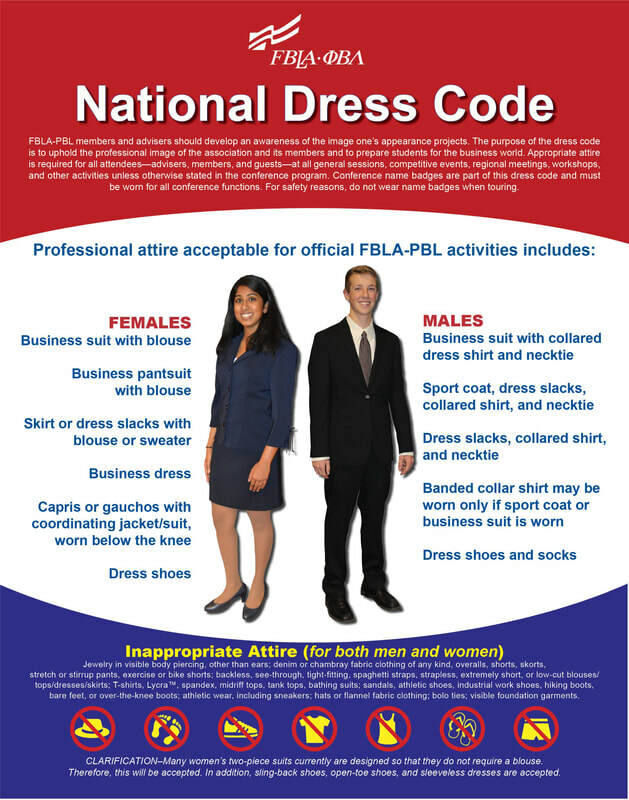 In addition, sling-back shoes, open-toe shoes, and sleeveless dresses are accepted for FBLA events. In Helix FBLA, we Dress for Success!